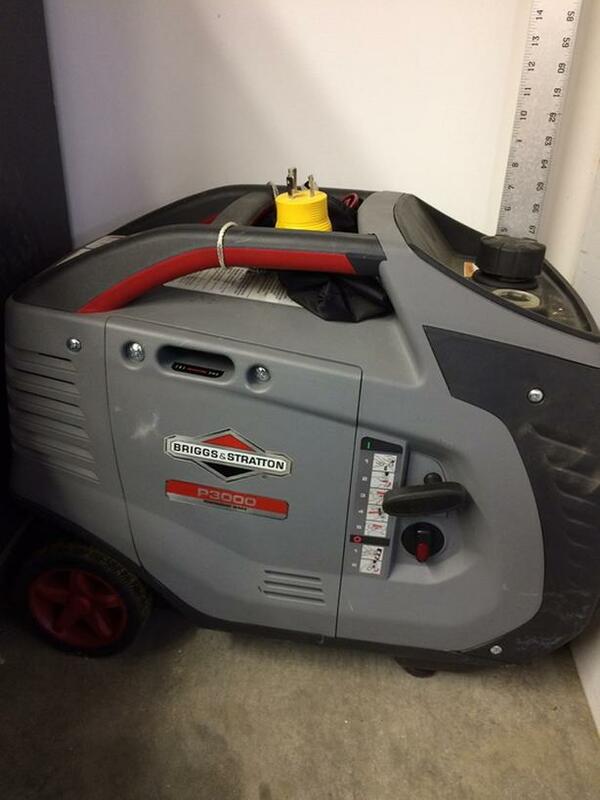 Briggs & Stratton 3000 watt RV generator. RV adapter included. RV run quiet mode. DC charging capability. Flip out cart handle mode.